You can "climb on virtually anything you can get your hands on" in Praey for the Gods. After two years of closed alpha and beta testing, three-man indie developer No Matter Studios has finally let loose Praey for the Gods on Steam Early Access. 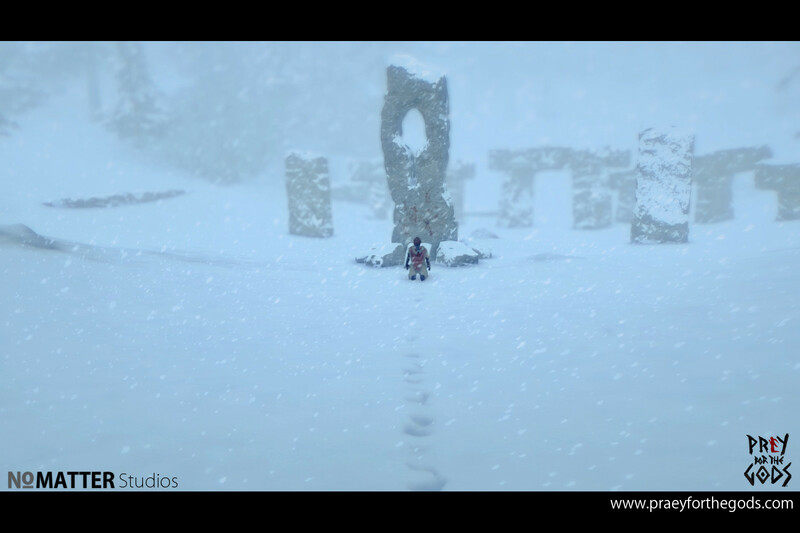 Described as a "boss climbing open world adventure game", it puts players in the shoes of a lone hero that seeks to make sense of the mystery behind an endless winter while at the edge of the world. "You can climb on virtually anything you can get your hands on", according to Praey for the Gods' Steam page, which does sound like a welcome amount of freedom. The title will also let players tackle its massive beasts in any order, but the weather conditions won't make it easy. Fires will be required to fend off the cold, while hunting for food will stave off hunger. Exploration also comes into play both for reaching inaccessible places, sometimes by gliding off tall the tall peaks you just climbed on, but also discovering new gear. No Matter Studios plans to keep Praey for the Gods in Early Access somewhere between 6 and 12 months, while a console launch is scheduled for later this year. Drop by its Steam page for more info and check out its Early Access launch trailer showcasing both gameplay and environments.